Our democracy is stronger with your vote. 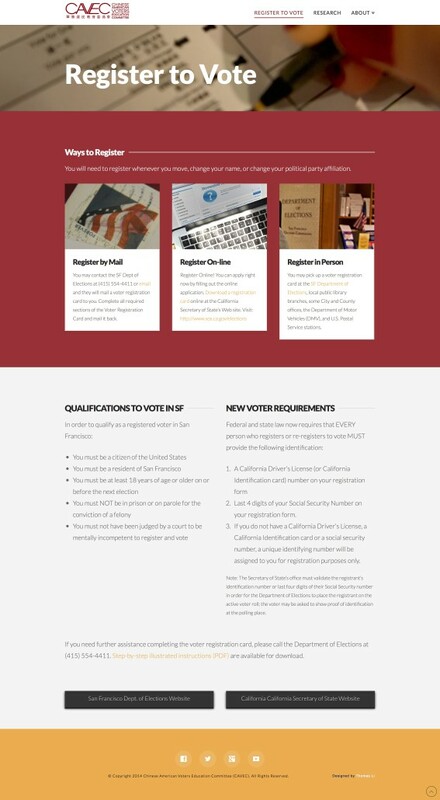 The mission of Chinese American Voters Education Committee (CAVEC) is to support the integration of Asian Americans and particularly new citizens into American civic, cultural and social life. CAVEC engaged Thomas Li to design a website to raise awareness about voting rights and access in the Asian community.